#25. 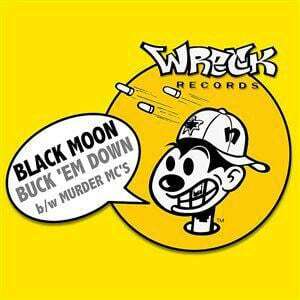 Black Moon "Murder MC's"
One overlooked influence of Boot Camp is how much of a role they played in popularizing the concept of verbal murder. Sure, other artists had touched on the metaphor before them, but never with the singularity of the boys from Bucktown. Usually, guns were guns and lyrics were just lyrics, but BCC (and Buckshot in particular), saw them as one and the same, framing many disses around the steel, not the mic alone. For better or worse, it was records like this B-side-only fan favorite that helped to usher in a generation of artillery-obsessed cipher rats who are still rhyming about how many rounds their lyrical gat busts to this day.